If you want to learn about autism, the best way is to read the people who are autistic. Not people imagining what it’s like and writing about it. So for world autism awareness/acceptance day, a list of autistic authors/artists/writers/bloggers. This will obviously not be comprehensive, please feel free to add your own favourites in the comments. 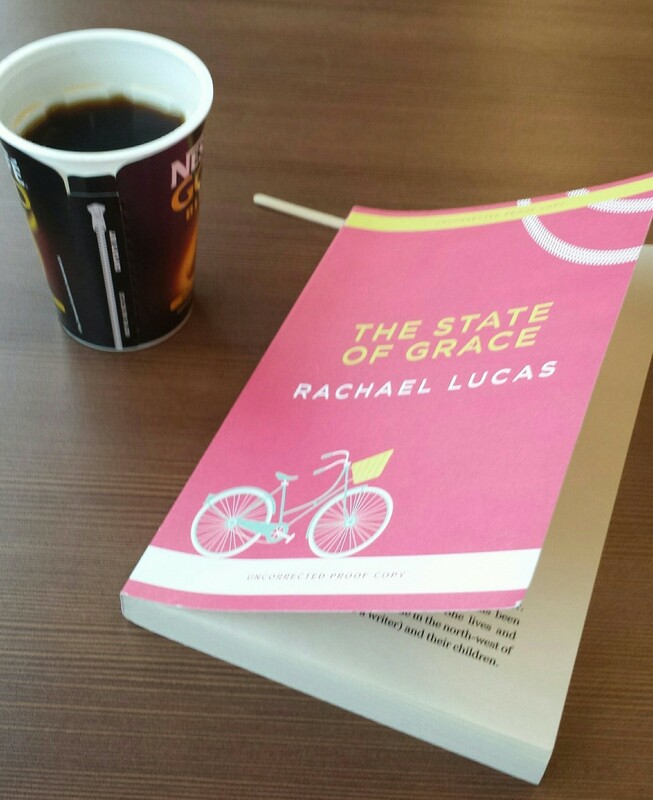 I read and reviewed Rachael Lucas’ The State of Grace last year and loved it. I highly recommend it for getting an insight into life as an autistic teenage girl. Buy at amazon. M is for autism (review) and the sequel, M in the middle were written by a group of girls at Limpsfield Grange School, assisted by their teacher. More good titles for the teenage insight. Amazon here and here. Corinne Duyvis, On the Edge of Gone is fantastic YA SF with a thoroughly believable autistic character in a very tough situation. Again reviewed last year, and available at amazon here. Last fiction book I’ve read is Colin Fischer by Ashley Miller and Zack Stentz. I didn’t like this one so much, which is probably why I’ve failed to review it so far, I found it a bit too stereotyped/ cliched in its portrayal of the main character Colin. But it’s the only fiction book by an autistic author I’ve come across so far featuring a male lead, so needs including I think. Amazon. You can find reviews of other books with autistic characters on Disability in Kid Lit, a site well worth bookmarking. Titles I haven’t read but would like to: Jen Wilde, Queens of Geek. (Amazon.) I’m very much excited by the idea of Stim:an autism anthology edited by Lizzie Huxley-Jones, currently crowd funding on Unbound Also hoping that I’ll get some new suggestions from this! On memoirs, I’m waiting on Katherine May’s The Electricity of Every Living Thing, which is out in a couple of weeks time. It sounds fascinating, and right up my coastal path 😉 Check it out on Amazon. Also Laura James’ Odd Girl Out is now available in paperback (I *will* review this soon!). Amazon, and there’s Fingers in the Sparkle Jar from Chris Packham (another one awaiting review). Amazon. I’ve also read and reviewed a number of other memoir books, some of which include helpful tips – here are links to my reviews (which have their own Amazon links within). Nerdy Shy and Socially Inappropriateby Cynthia Kim, Pretending to be Normal by Liane Holliday Willey and A Pony in the Bedroom by Susan Dunne. A slightly different focus in From here to Maternity: Pregnancy and Motherhood on the Autistic Spectrum is very helpful on how to manage your encounters with medical personnel through pregnancy. If autistic artists or bloggers are more your thing, I recommend checking out Sonia Boue and Jon Adams (soundcube) via twitter in the first instance. For gems like this. Twitter is a great place to find autistic writers and bloggers. We tend to use #ActuallyAutistic when we’re sharing our own work (please don’t use that to talk about people who are autistic though. It’s for self identification) so that’s a good place to start looking. There’s also a massive list of autistic bloggers here, I’ve no idea how current it is though. Cheers for this. I’ll make use of some of those. Quite a few I’d not heard of. Thank you. It’s really helpful to have pointers like this and people we can learn from. Happy to help – hope you find something there that you enjoy.